"The Greatest Love of All" I should say will be not only be the best recall song that I will remember Whitney Houston with but also what we can say on the contribution she made to the music industry and the world. This time we will Re-Live her in this astounding tribute concert echoing around the world. 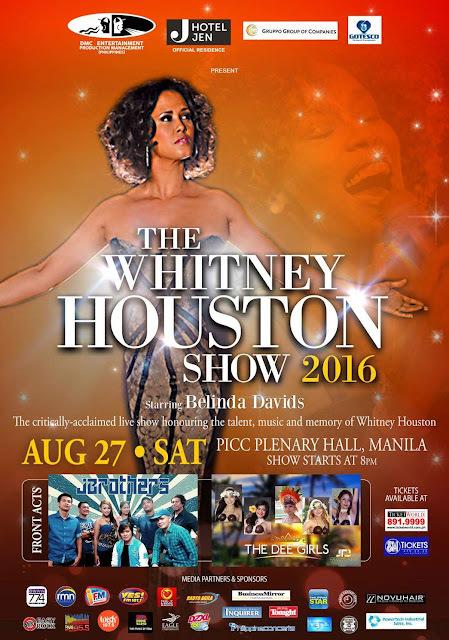 This will stage the full production crew from the US starting with the band, dancers and theatrical effects, everything that The Whitney Houston Show have the Philippines will experience. Featuring the breathtaking voice of Belinda Davids who's the perfect person to recommence the world concert tour of Whitney. Belinda, being the top pick to perform on Whitney's behalf was chosen among 15,000 candidates in 12 countries who auditioned for the concert. Belinda Davids was born in Port Elizabeth, South Africa, and began performing professionally at the age of 14. She has never had vocal training and is blessed with a 4 octave vocal range, and hence the ability to sing any genre. Her musical heart has always been R&B; Belinda's inspirations as a child were Aretha Franklin, Anita Baker, Chaka Khan, Donny Hathaway, Michael Jackson and the one artist whom she still, to this day, honours in every show she performs – Whitney Houston. Reminise with the famous hits of her 30 year career like 'How Will I Know', 'I Wanna Dance With Somebody', 'Where Do Broken Hearts Go', 'Didn't We Almost Have It All', 'I'm Every Woman', 'One Moment In Time', 'I Have Nothing' and of course, 'I Will Always Love You' and many more. Presented by DMC Philippines, in cooperation with Gotesco Group Of Companies, and Gruppo Group Of Companies. This event is also brought to you by Hotel Jen, the official residence and Novu hair. Special thanks to our media partners: NET 25, Eagle Broadcasting, RMN, 558 DZXL, 774 DWWW, Radyo Agila, 90.7 Love Radio, 95.5 Pinas FM, 96.3 Easy Rock, 97.9 Home Radio, 101.1 YES FM, 107.5 Wish FM, Business Mirror, Peoples Tonight, Philippine Daily Inquirer, Philippine Star, Manila Concert Scene, Philippine Concerts, and When In Manila. Tickets are now available at SM Tickets (www.smtickets.com) and Ticket World (www.ticketworld.com.ph) outlets. 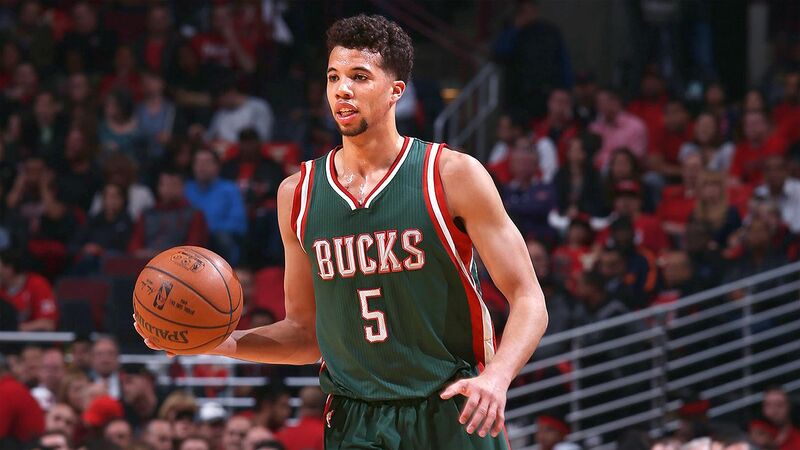 The National Basketball Association (NBA) announced today that 2013-14 Kia NBA Rookie of the Year Michael Carter-Williams of the Milwaukee Bucks will headlineNBA 3X Philippines 2016 presented by Panasonic, which returns to Manila from Aug. 19-21 at the SM Mall of Asia Music Hall. Registration for NBA 3X Philippines 2016 begins July 29 at www.nba3x.com/philippines. Returning for the sixth consecutive year, NBA 3X Philippines 2016 will include a 3-on-3 tournament featuring 200 men’s and women’s teams from all over the country, as well as performances by local artists and DJs. The event will showcase authentic NBA entertainment and activities free for fans of all ages to experience throughout the weekend. Carter-Williams will be present throughout the event to inspire the athletes and interact with fans. Carter-Williams, a 6’6” guard out of Syracuse University, was drafted 11thoverall by the Philadelphia 76ers in the 2013 NBA Draft. He was named the 2013-14 Kia NBA Rookie of the Year and was unanimously selected to the 2013-14 NBA All-Rookie First Team. Carter-Williams joined the Bucks during the 2014-15 season, and averaged 11.5 points, 5.2 assists and 5.1 rebounds per game last season. The competitive 3-on-3 tournament includes divisions for boys (under-13, under-16, under-18, and open category), girls (under-16 and open category) and an invitation only Celebrity Division featuring local personalities. Registration for NBA 3X Philippines 2016 begins July 29 on a first-come first-serve basis at www.nba3x.com/philippines and runs until Aug. 14 or until all slots are full. 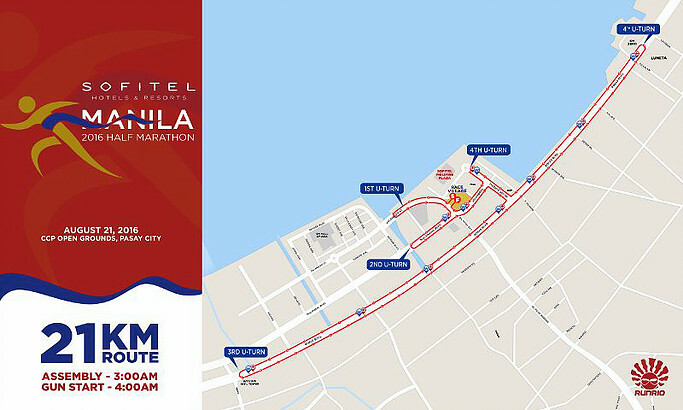 The Philippine International Convention Center will once again serve as a secondary venue to accommodate the teams. The official partners of NBA 3X Philippines 2016 presented by Panasonic include CloudFone, Globe Telecom, Touch Mobile, and Sprite, with SM Mall of Asia and Spalding serving as Supporting Partners. Official NBA broadcasters for the event are ABS-CBN Sports and Action, Basketball TV, and NBA Premium TV. All participants in NBA 3X Philippines 2016 will receive an NBA 3X jersey. Special prizes await the winners of each division. 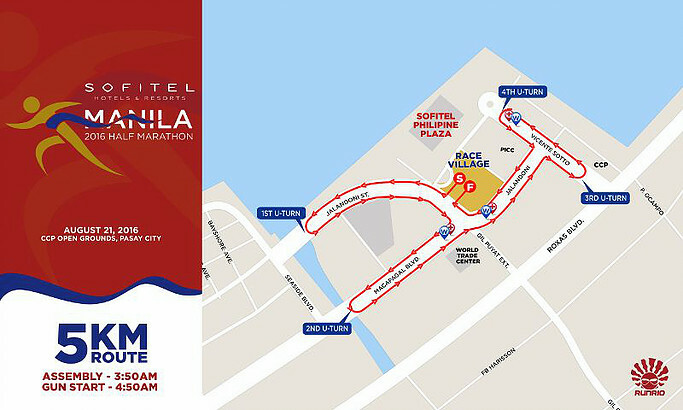 Registration fees for the age divisions run at Php1,000 per team, while open divisions run at Php1,600 pesos per team. For more information on NBA 3X Philippines 2016 and to register for the 3-on-3 tournament, log on to www.nba3x.com/philippines. Fans can also get event updates by following the NBA on Twitter atwww.twitter.com/nba_philippines and through Facebook atwww.facebook.com/nba3xasia and www.facebook.com/philsnba. For all things NBA, visit www.nba.com. Panasonic Manufacturing Philippines Corporation (PMPC), with factories located in Taytay, Rizal and in Sta. Rosa, Laguna is a manufacturer, importer, and distributor of electronic, electrical, mechanical, electro-mechanical appliances, other types of machines, parts and components and related products bearing the brand name, “Panasonic” in the Philippines. PMPC primarily manufactures refrigerators, air conditioners, washing machines, and electric fans. The company has a wide base of sales, distribution, and service centers strategically located at key municipalities, cities, and provinces all over the Philippines. PMPC posted a sales performance of 8.7 billion pesos for the year ended March 31, 2016. For more information about the company, please visit PMPC’s website athttp://www.panasonic.com/ph. World Series of Fighting – Global Championship (WSOF-GC) has finished with their weigh ins and all fights are a go. 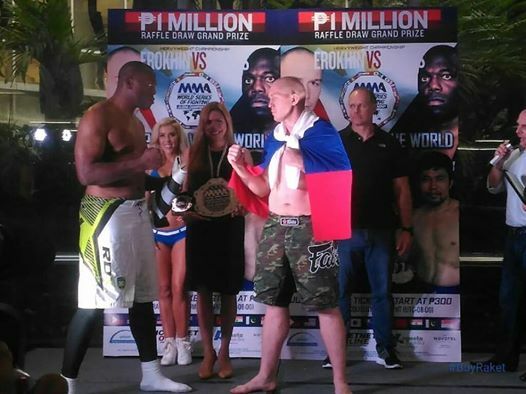 All main card fighters made weight without incident, including the Heavyweight Title Main Event, Russia’s Evgeny Erokhin (230) vs United States’ Richard Odoms (262). World Series of Fighting – Global Championship (WSOF-GC) will air LIVE and FREE in its entirety this weekend, starting at 6am EST this Saturday, July 30 in United States at wsofgc.com. Fans can access the entire 10-fight event atwsofgc.com,as well as through mmaweekly.com, globalcombatnetwork.com, and fightnewsaustralia.com. Another unique element that WSOF-GC is bringing to their fans is a 360-degree perspective of the fights courtesy of their new partner, Livit. Fans can access this through the LivitNow app to watch the event from a perspective like no other. Fans will have the capability to control how they see the action and the crowd that night. In addition to the live, free event, wsofgc.com is hosting a FREE weekend of its Global Fight Library. Fans can log on to the website and see not only this weekend’s bouts, but previous events including previous fights from WSOF-GC affiliates (United Kingdom’s ICE FC, Argentina’s ULLAMP, Italy’s SLAM FC, Costa Rica’s Calvo Promotions, Puerto Rico’s Royalty Combat, and Philippines’ Underground Battle MMA). 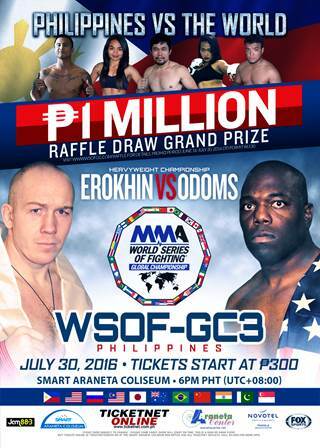 WSOF-GC will host WSOF-GC 3 Philippines at Smart Araneta Coliseum on July 30, 2016. Tickets start at PHP300 with ringside seats available for PHP4000. 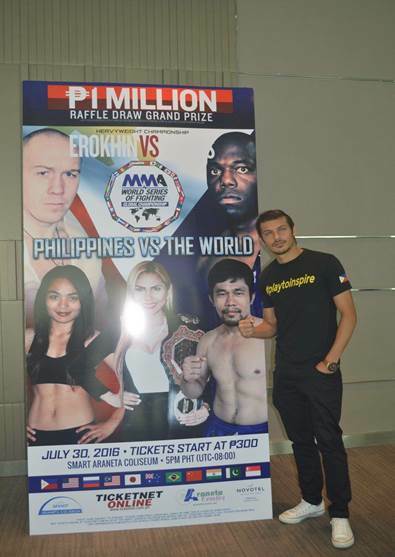 Tickets are now on sale at all Ticketnet Outlets or online at http://www.etix.com/ticket/p/2988982/wsof-global-championship-3philippines-quezon-city-smart-araneta-coliseum. World Series of Fighting Global’s ultimate mission is to bring together the best athletes from countries and organizations across the world to compete for a true, globally-recognized world champion. Media inquiries should be sent to Jason Lilly, Vice President of Operations of World Series of Fighting Global, atjlilly@wsof.asia. Follow them on Twitter @WSOFGlobal. * Jessdan Dela Pena failed to reach his contracted weight of 155, coming in at 162. His opponent, Kelvin Ong, came in at 150, so he was given two hours to cut to 160 in order for both fighters to be within 10 pounds, but failed to do so. His opponent weighed back in at 156 and the fight was declared official. Jessdan and Kelvin agreed to a 50% of Jessdan’s total fight purse, which will be given to Kelvin. ** Yadwinder Singh failed to make weight on his first attempt (127.5) but managed to make the 125-lb mark within an hour. The first half of 2016 saw the continued dominance of Metro Manila areas or neighborhoods among places in the Philippines most searched for by online property-hunters. Sixteen of the top 20 areas or neighborhoods viewed by users of the Lamudi website were in Metro Manila, with interest shifting slightly among the areas as the year progressed. 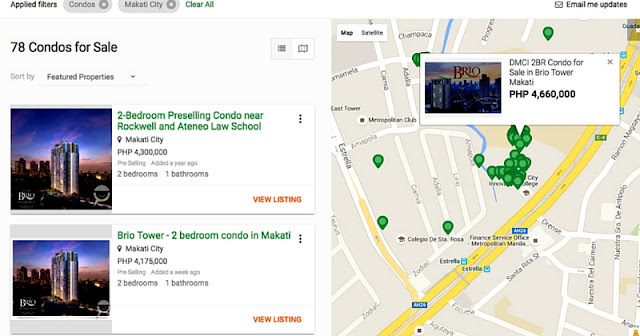 Fairview in Quezon City was top among the areas or neighborhoods searched by online property-hunters. This Quezon City district was the most searched area in Metro Manila and the Philippines in the first half of 2016, according to Lamudi data. Although Fairview remained the most searched area from April to June 2016, search volume for this popular Quezon City location dipped 22% from Q1 to Q2 2016. Fairview is followed by the Fort Bonifacio area in Taguig. Home to Bonifacio Global City, this area generated almost 150,000 page-views of properties in the first half of 2016. Furthermore, interest for this location among online property-hunters increased 14% from Q1 to Q2 2016. Fort Bonifacio was followed two other Quezon City locations: Tandang Sora and Batasan Hills. However, similarly to Fairview, it looked that online property-hunters’ interest for these areas also waned between Q1 2016 and Q2 2016. Page-views for Tandang Sora dropped 38% between the first two quarters of 2016, while those for Batasan Hills dropped 15% during the same period. 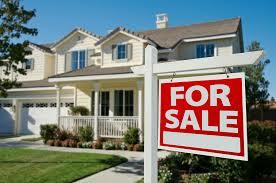 Fifth on the list is the highly popular BF Homes in Parañaque. Properties in this gentrifying residential area, home to many restaurants, generated almost 130,000 page-views in the first half of 2016. In addition, search volume for BF Homes increased 9% between Q1 2016 and Q2 2016. Wrapping up the top 10 most searched areas/neighborhoods in the Lamudi website are Legaspi Village (Makati), Novaliches (Quezon City), Talon Dos (Las Piñas), Poblacion (Makati), and Cubao (Quezon City). From highest to lowest, the top 11 to 20 most-searched areas/neighborhoods included Talamban (Cebu), Malate (Manila), Don Bosco (Parañaque), Banilad (Cebu), Guadalupe (Cebu), Commonwealth (Quezon City), Salcedo Village (Makati), New Manila (Quezon City), Lahug (Cebu), and Bel-Air (Makati). Together, these 20 areas/neighborhoods made up more than 24% of all searches conducted in the Lamudi website in the first six months of 2016. There were a total of 4,536 areas/neighborhoods all over the Philippines included in this data analysis. According the Lamudi, the results of this analysis offer insights on which specific locations property-hunters are researching for online. Although certain locations definitely are easily remembered due to high real estate activity, notably by major property developers (e.g., Legaspi Village, Salcedo Village, and Fort Bonifacio), some definitely are constantly in prospective homebuyers’ mind, perhaps because they have been popular residential areas for many years (e.g., BF Homes, Tandang Sora, Batasan Hills, New Manila). Little White Box treated Manila’s fashion elite to luscious Villa del Conte chocolates at the recent Little White Box trunk show at the exclusive Makati Garden Club. 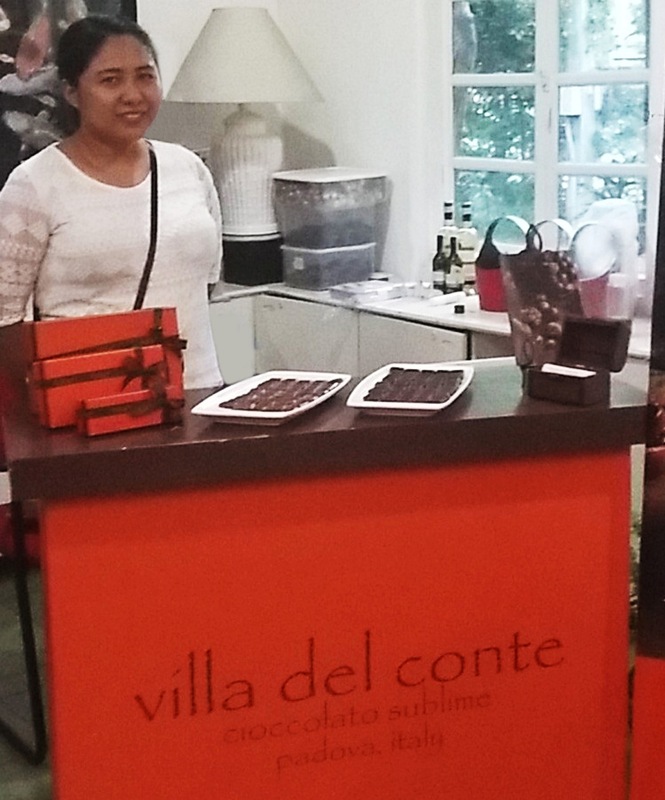 Guests had their choice of Villa del Conte’s Italian artisanal creations such as the heavenly chocolate bar flavors in milk chocolate with cereals, 50% dark chocolate with crunchy toffee and sea salt, or fine milk chocolate with hazelnut chips. You can also make your events and parties sweeter and more enjoyable! Visit Villa del Conte stores at Greenbelt 5, Century City Mall, Shangri-la Mall, Resorts World, Alabang Town Center, SM Megamall and Robinsons Magnolia. For bulk orders, please contact 893-2575 or 621-6101. Go to http://www.villadelcontecioccolato.com to know more about Villa del Conte. FOX Sports, synonymous with being the exclusive provider of Ultimate Fighting Championship (UFC) worldwide, is now home to World Series of Fighting Global Championship (WSOF-GC) in Philippines. A programming license agreement was reached between WSOF-GC and FOX Networks Group, seeing FOX Sports Philippines as the Official Media Partner for the Manila event this Saturday, July 30, and the exclusive Philippine Pay TV home for the 2016 WSOF Global Championship Events. WSOF Global Championship 3 airs July 31 at 10am on FOX Sports Philippines, with multiple repeats the following week, and will likewise be available via linear streaming and via video-on-demand via www.FOXsportsasia.com and FOX Sports Play shortly after. Fight fans can also watch a replay of the fights at wsofgc.com. For $4.99/month, you can have access to the entire WSOF Global Fight Library, which not only includes WSOF-GC events, but affiliate events from 13 countries on 6 continents from around the world. WSOF-GC will host WSOF-GC 3 Philippines at Smart Araneta Coliseum on July 30, 2016. Tickets start at PHP300 with ringside seats available for PHP4000. Tickets are now on sale at http://www.etix.com/ticket/p/2988982/wsof-global-championship-3philippines-quezon-city-smart-araneta-coliseum. Smart Araneta Coliseum has been host to many great events over the years, but is most notably known for Ali vs Frazier III “The Thrilla in Manila”. A lucky member of the audience on July 30, 2016 at Smart Araneta Coliseum will win P1,000,000.00. Visit www.wsofgc.com/raffle for details. Promo period June 16 - July 30, 2016, DTI-NCR PERMIT #6130. 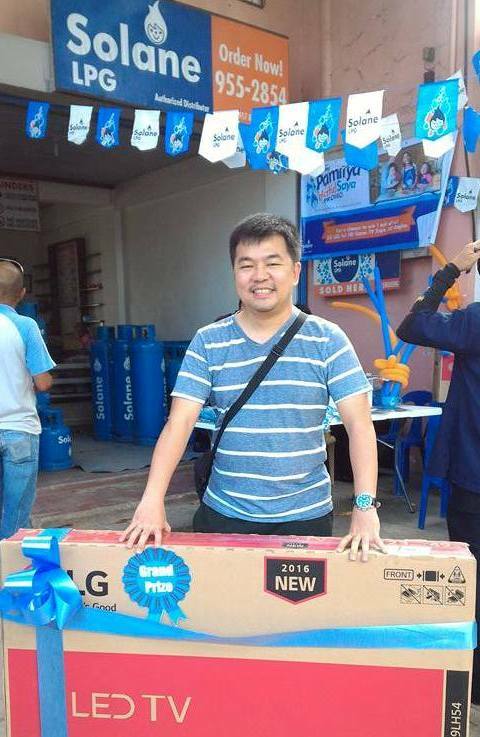 Solane, the country’s leading LPG solutions provider, awarded home entertainment prizes to the winners of its exciting Solane Pamilya Hatid Saya Raffle Promo. The contest, which ran in select Solane LPG outlets in Visayas and Mindanao, entitled customers to one raffle coupon for every purchase of 11kg Solane LPG cylinder or refill. The grand prize winners in each area received a 49-inch LG LED Full HD Game TV Triple XD Engine while six (6) other customers each won a 32-inch LG LED Full HD Game TV Triple XD Engine. 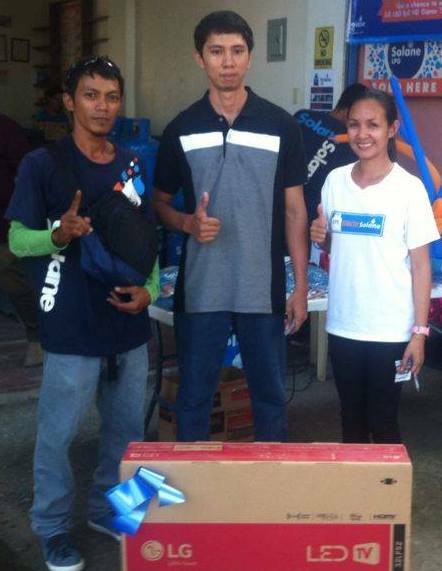 Fifty (50) more winners received Solane T-shirts as consolation prizes. 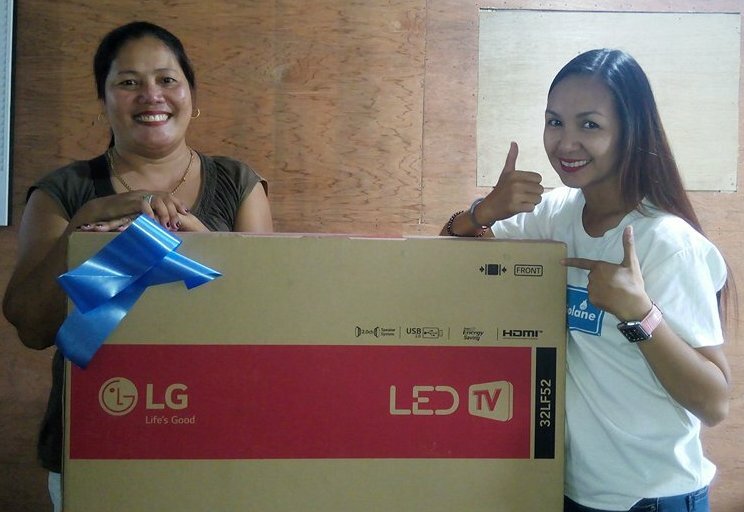 The lucky winners of Solane Pamilya Hatid Saya Raffle Promo in Zamboanga Area included Michael Wee, who received the grand prize; Rubert Canseco, Francis Lee, Evangelina Villanueva, Geraldine Digol, Marissa Lasola, and Jocelyn Nacao. Spotlight is on Star Magic Singers on "Tunog Star Magic"
Apart from being the home of the finest actors in the business today, Star Magic has also been the first and original home of many of the best singers that many budding performers aspire to become. With such abundance of talent Star Magic came up with, Tunog Star Magic, the latest online channel where the music lovers can listen to the unexpected and much-awaited covers and collaborations between their favorite Star Magic performers. The performances would bring together celebrated and up-and-coming Star Magic singers to jam to the latest hits and their favorite songs every week. Although there are a number of shows either on TV or online that showcases similar performances, Tunog Star Magic prides itself of being the accessible platform where the alternative pairings and performances can be seen. Among the first few singers who gamely performed for Tunog Star Magic are Bugoy Drilon, Leizel Garcia, Khalil Ramos, Nash Aguas, and Alexa Ilacad, as well as, rising performers Kira Balinger, Heaven Peralejo, Ysabel Ortega, CJ Novato and Kristel Fulgar among others. Those who are raring to view their performances may do so every Thursdays at Star Magic’s official YouTube Page with the address www.youtube.com/starmagicphils starting this July 28 at 6:00 p.m. Apart from Tunog Star Magic, Star Magic is bringing the Star Magic Newbies. Like a slumbook of sorts, Star Magic Newbies aims to introduce the fresh and new Star Magic artists that could be touted as those who are next in line. It is essentially a platform for the fresh bloods to be known by the public through their personally accomplished profiles. Both Tunog Star Magic and Star Magic Newbies kick off the star-studded celebration of Star Magic’s 24th anniversary in the business. To cap off the festivities, the biggest and brightest Star Magic stars would gather and commemorate the year that was on the Grand Star Magic Day this coming July 31 in ASAP. 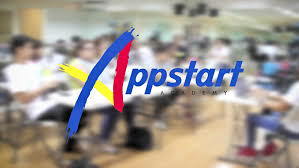 Appstart Academy - Putting the Philippines in the World mAPP! Appstart Academy, the first of its kind here in the Philippines who's aim is to create apps and bridge gaps in our modem world of technology. Technopreneur Ann Jacobe together with her team have built Appstart Academy training center that will launch aspiring individuals to be successful Appreneurs. succeed in this field of business. - iOS Development Immersive is a 12-week program that will enable Appstart trainees to launch their app in 12 weeks transforming their ideas into revenue generating projects. - iOStarter Pack is a 4-hour/3-day workshop for those starting in iOS Development who want to learn the ropes in coding apps. - Advanced Swift is a 4-hour/week month-long program that will help take your existing Swift skills further while you build your real-world app. - Specialized iOS Trainings and Workshops for Geo-Location, Push Notifications, AF Networking, Messaging and others will also be offered soon. support, every determined woman can finally be given the chance to learn and become prime movers in the App Economy. LIGHT NETWORK Channel 33, Magaan Dito Kaibigan "
World Series of Fighting – Global Championship (WSOF-GC) concluded its international ring girl search in the Philippines last Saturday, July 23, 2016. 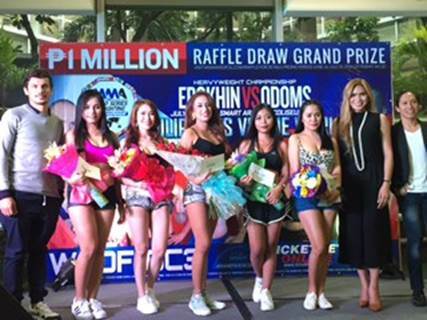 The winner was selected by three (3) judges, composed of Philippine Azkals and Global FC football superstar Misagh Bahadoran, World Series of Fighting (WSOF) Global owner Dunesa Hesser and blogger Jared Baliguat. Christine Nolasco, from Meycauayan, Bulacan bested 4 other finalists and was chosen as the new international ring girl of World Series of Fighting Global. She is expected to make her decagon debut on Saturday, July 30, during the much anticipated Fight Night at Smart Araneta Coliseum, along with Michelle Jeanpierre, who is considered as one of the hottest ring girls in MMA. WSOF-GC will host WSOF-GC 3 Philippines at Smart Araneta Coliseum on July 30, 2016. Tickets start at PHP300 with ringside seats available for PHP4000. Tickets are now on sale at http://www.etix.com/ticket/p/2988982/wsof-global-championship-3philippines-quezon-city-smart-araneta-coliseum. Smart Araneta Coliseum has been host to many great events over the years, but is most notably known for Ali vs Frazier III ‘The Thrilla in Manila’. World Series of Fighting Global’s ultimate mission is to bring together the best athletes from countries and organizations across the world to compete for a true, globally-recognized world champion. Follow them on Twitter @WSOFGlobal. Last week, our favourite weekend barkada got together once again to celebrate Tita Bianca and Dwight’s upcoming wedding. The occasion also gave them the opportunity to learn from the engaged couple’s experiences and to reflect on their own romantic statuses. This week, find out if Joey and Joee are ready to rekindle their love story or if there really is no hope of a happily ever after for them. As for the officially-single Ranee and loveless Benny, will they give love another shot? Or has their recent heartbreaks permanently scarred their fragile hearts? Find out how your favourite weekend barkada will get through this #HowtoAdult dilemma on episode 11 of PhilStarTV and Cinema One’s award-winning romantic- comedy series, Single/Single season 2. 8:30pm and Saturdays, 9pm. Past episodes can also be viewed on philstartv.com. For more updates, visit facebook.com/SingleSingleC1 and follow @SingleSingleC1 on Twitter and Instagram. World Series of Fighting – Global Championship (WSOF-GC) will conclude its international ring girl search in the Philippines this Saturday, July 23, 2016. The final judging will be held July 23 at 4 p.m. at the 2nd Floor of the Gateway Mall (near Pizza Hut), located at the Araneta Center. Philippine Azkals and Global FC football superstar Misagh Bahadoran, who is also currently Folded & Hung’s newest model, will be the celebrity judge. Other judges include World Series of Fighting Global owner Dunesa Hesser and blogger Jared Baliguat. Also on Sunday, July 24, there will be an autograph signing from 4-6p.m. with all the 5 Philippine MMA fighters competing for Fight Night on July 30. Fighters Jujeath Nagaowa, Jenelyn Olsim, Neil Larano, Jessan dela Pena and Mario Sismundo will be there for their fans to sign posters that will be given away for free. Event will be held at the 2nd Floor of the Gateway Mall (near Pizza Hut), located at the Araneta Center. Many new and exciting advancements in technology are being developed to make property selling and buying more convenient. 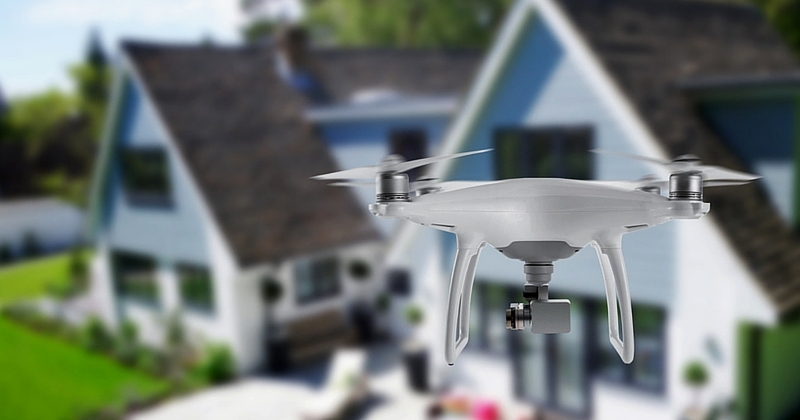 These technologies narrow the gap between real estate sellers and buyers. Leading real estate platforms Lamudi Philippines and MyProperty.ph have put together a list of technological innovations that are shaping the face of Philippine real estate. Over the last few years we have seen the proliferation of online real estate listings platforms, most of which follow generic designs and offer good content. This is a boon to consumers, who now can do their initial selection of properties for rent or sale without having to leave the house. All they have to do is just visit these online listing platforms, where thousands of properties for sale and for rent are literally right at their fingertips. However, what set the smart platforms apart from their competitors are features such as completeness of inventory, easy-to-use features, and overall awesome performance. These platforms show consumers the available properties’ details, such as location, property owner info, pictures, and price. Advance search filters also allow users to view only the type of home they want to see down to specific locations. Buyers can also compare listings side by side to help them narrow down the properties that they’d like to view in person. While others, such as home-grown real estate website MyProperty.ph, show where these properties are located on a map view. In today’s mobile-first consumers, mobile apps and responsive websites are being developed to let consumers browse properties using virtually any device. In addition, numerous real estate apps have been launched that make searching for properties faster for buyers, and uploading listings more convenient for real estate brokers, agents, and owners. Virtual reality (VR) is currently the rage in video games, and the technology has also found its way to the real estate industry. A special tool is used to capture 360-degree panoramic images of a property, which are then stitched together to create a “virtual tour.” This allows homebuyers to “walk through” a property to check it out as though they are actually inside it, clicking at certain spots on the images to view certain details up close. On September 3 and 4, 2016, property buyers and sellers can experience first hand the use of VR in real estate by heading to the Bonifacio High Street Activity Center in Taguig, where the first-ever Lamudi Philippines VR Expo will be held. Sabrina's New Single "Kung Pwede Lang" is the Theme song of "Oh My Venus"
“Kung Pwede Lang”, the heartwarming ballad by Asia’s Acoustic Sweetheart Sabrina is the theme song of GMA’s latest Korean series “Oh My Venus”. The series tells the story of Niko (portrayed by So Ji-sub), a personal trainer and Janelle (portrayed by Shin Min-a), a lawyer who used to be known for her pretty face and enviable figure but has gained a lot of weight. As they work on her physical transformation, will the two fall in love eventually? “Kung Pwede Lang” was written by Sabrina herself and is the only Tagalog track off her all-originals album “Sab”. The song is about second chance and yearning for lost time. “I’m so excited that my song “Kung Pwede Lang” was chosen to be the theme song of a popular Kean series,” Sabrina said. “I’m sure a lot can relate to the song more and hopefully touch other people via ‘Oh My Venus’”. “Sab” is now available worldwide digitally on Spinnr, iTunes, Apple Music, Spotify, Deezer on June 17 and on CDs at leading record stores. The digital release also includes the first two songs she wrote way back, during her “I Love Acoustic” compilation days, called “Oh Boy” and “Paradise”. “Oh My Venus” airs on GMA Network weekdays at 11am. For bookings and inquiries, contact Bea Velasquez of MCA Music Artist Management at +639209682991 or email mcabookings@umusic.com. Mario Sismundo, who will fight on July 30 for the World Series of Fighting Global Championship 3: Philippines vs. the World card at the Smart Araneta Coliseum, says that he is more than just Manny Pacquiao’s doppelgänger. Mario, who once doubled for Manny Pacquiao for a TV commercial, and also hails from General Santos City, also has plans of his own to be a world-renowned fighter. The resemblance is striking, in fact, when he trains at Fitbox Gym in Makati, he is often mistaken as Manny Pacquiao. This will be Mario Sismundo’s biggest fight in his entire boxing and MMA career, fighting for the first time in a 15,000-seater stadium in Quezon City, alongside fighters from all over the world. Sismundo says that his family, specially his father, has been supportive of his career all this time. It is bittersweet though that at the biggest fight of his life, wherein his fight will be the co-main event on July 30, that his father won’t be able to watch it since he passed away just weeks ago. “Sa pinakamalaking laban ng buhay ko, na matagal niyang hinintay, wala na siya…pero hindi iyon hadlang para ako manghina o mawalan ng gana lumaban, bagkos, lalo ko pang pag-iigihan ang training ko para manalo sa laban na ito, dahil inaalay ko sa kanya ang laban na ito”, Sismundo says. “At alam ko kahit wala na ang aking ama, manonood siya kahit nasa ibang mundo na siya”, adds Sismundo. hydration for the face, neck and décolleté with faster absorption rate and longer lasting moisture retention. It is made from 99% marula oil and 1% blend of natural essential oils that leaves a light, natural scent. With 60% more antioxidants than argan and grapeseed oils, it is more effective in fighting free radicals that cause premature aging. Aside from its optimal hydration and age-defying benefits, Marula Pure Beauty Oil is also best for treating damaged skin after facial treatments, radiation therapies and surgeries. With its high concentrations of omega-9 fatty acid, it penetrates quickly into the skin and locks in hydration to sooth redness, swelling and irritation. Ideal for everyday use, use Marula Pure Beauty Oil during the day to keep your skin hydrated and at night to help yo ur skin replenish its vital moisture reserves. During rainy and humid weather, apply it more frequently as needed. Sofitel Manila Half Marathon 2016 will be on August 21, 2016 at CCP Open Grounds, Pasay City. 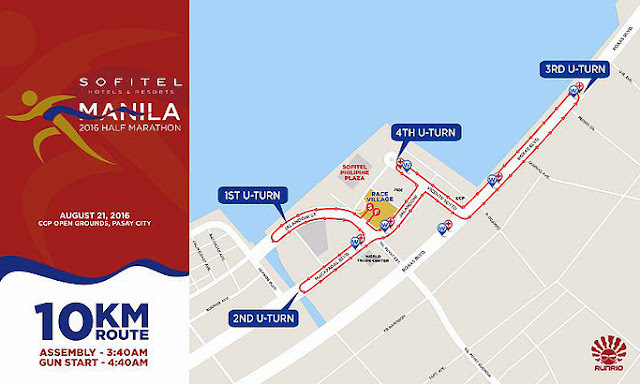 Race will start at the CCP Open Grounds (open grass area in-front of World Trade Center, near Sofitel) and route will go as far as Rizal Park to Baclaran and back to CCP for the 21km runners. For 10km and 5km runners, the routes will be around the CCP complex area with exception of 10km runners who will be heading as far as Pedro Gil before heading back to the activity area. There will be designated parking areas inside the CCP Open Grounds and within the vicinity of CCP Complex. Elegant and Charming would be the two words that I can describe the events place when I first stepped in this vintage and historic residence. They just had their first anniversary party a few days ago wherein they had a grand food tasting for the guests to experience. 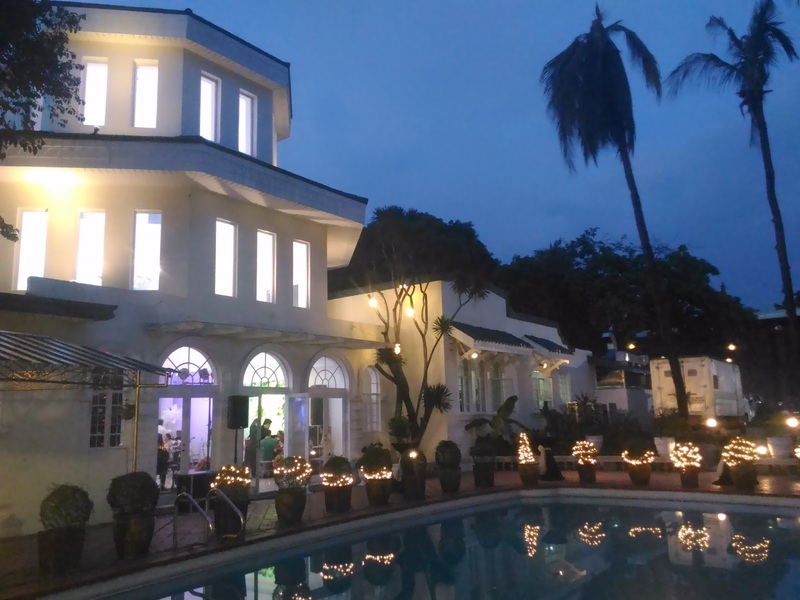 The beautiful mansion is a hidden jewel of architecture in the heart of Quezon City.Built in the 1970’s the mansion and its gardens were home to Atty. Benjamin Martin and Dona Felicidad Tayag-Martin together with their children Lily, Gigi, Carole, Vicky and Bong. In 2015, the family converted and developed this ancestral house and restored back to its former glory. The mansion preserved the hand crafted woods ceilings, vintage windows, doors, chandeliers and many other priceless attributes that make the venue so authentic. With the busy city that is full of modern structures and establishments this is one of a kind that gives their clients a feel of privacy while enjoying the class and the astonishing art carvings inside. Weddings never fail to bring people together, it is a time to celebrate love and reconnect with family and friends. It is also a time to reflect on what it really means to be an adult. This week on Single/Single, our favorite weekend barkada will once again come together for another celebration. This time, to organize a despedida de soltera for Tita Bianca and a stag party for her beloved soon-to-be-husband Dwight. The riot starts even before the parties start as they go into a frenzy planning for the two events. The laughter is even turned up a notch as Mama Yo, played by Bernardo Bernardo, returns to help in the preparations. With love and wedding bells in the air, will Joey Boy and Joee Girl get inspired to give love another try, or will this affirm that they made the right decision in going separate ways? And how will Ranee, fresh from her heartbreak, handle herself amid the romantic celebrations? Join the barkada in another hilarious episode as they learn #HowToAdult and get a lesson on the importance loyalty and commitment on PhilStarTV and Cinema One’s breakthrough series Single/Single season 2. Single/Single airs every Sunday, 10PM on Cinema One with replays on Wednesdays, 8:30pm and Saturdays, 9pm. Past episodes can also be viewed on www.philstartv.com. For more updates, visit www.facebook.com/SingleSingleC1 and follow @SingleSingleC1 on Twitter and Instagram. The largest sports media property in Asian history, ONE Championship™ (ONE), has announced that it has entered into definitive agreements with a consortium-led by Heliconia Capital Management (“Heliconia”) for an investment into the company. With this new partnership, ONE Championship will continue to expand and break new ground, and increase the number of live Mixed Martial Arts (MMA) events across Asia, especially in China. MMA is currently the fastest growing sport, accelerating exponentially by over 30 times in the past 10 years. In the past five years, ONE Championship has accelerated the growth of MMA in Asia as the market leader, organising live events across the region and broadcasting around the world. ONE Championship has consistently partnered with the best blue chip global brands around the world such as Disney, Facebook, Marvel, Under Armour, Sony, Universal Music Group, L'Oreal, and others. It currently has a roster of the best local and international athletes and champions in Asia. ONE Championship is dedicated to developing these athletes into true Asian heroes to inspire fans across Asia. 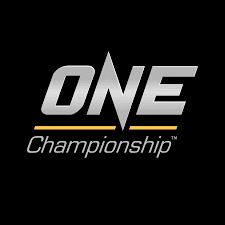 For more updates on ONE Championship™, please visit www.onefc.com and follow Twitter and Instagram @ONEFCMMA and Facebook at www.facebook.com/ONEFCMMA. ONE Championship is the largest sports media property in Asian history. Headquartered in Singapore, the world’s most exciting mixed martial arts organization hosts the largest sports entertainment events across Asia featuring the best Asian mixed martial artists and world champions, all signed to exclusive contracts, on the largest media broadcast in Asia. ONE Championship is broadcast to over 1 billion viewers across 118+ countries around the world with some of the largest global broadcasters, including FOX Sports, Setanta, MNC, Astro, Thairath TV, ABS-CBN, TV5, Physique TV, MYTV, HTV, Esporte Interativo and more. Heliconia Capital Management Pte Ltd is an investment firm and a wholly-owned subsidiary of Singapore investment company Temasek that provides growth capital for Singapore’s leading small and medium sized enterprises, helping them become globally competitive companies. For more information about Heliconia, please visit www.heliconiacapital.com. How Duterte can Improve Philippine Real Estate.